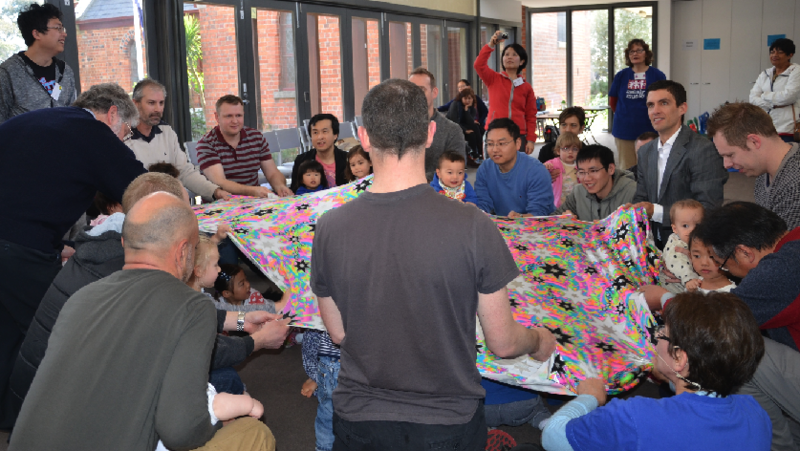 Families with pre-schoolers are invited to come along to the Mainly Music program! Mainly Music is a music program for parents and their pre-school children to spend time with their children enjoying music together in a Christian environment. This is a great way to connect with other parents and young children. Becky Sims – our Children’s and Families’ Minister – is the leader of the Mainly Music program. Becky is assisted by a team of volunteers from our parish to reach out into the community to show God’s love and care as Jesus would. 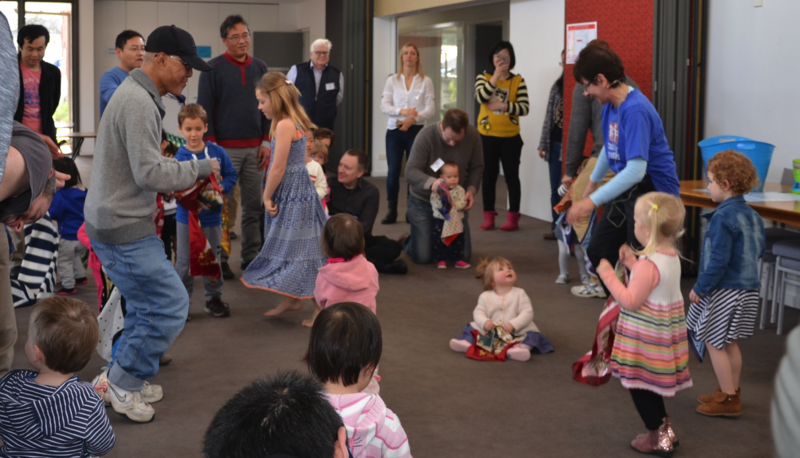 There are around 20 volunteers who altogether, who get to know the children and their parents/grandparents, greet them as they arrive, encourage them to be involved in the music, and make morning tea for everyone. Please be assured that all staff and volunteers have a current police check and a Working with Children card. We have special days, such as our annual Teddy Bears’ Picnic, Mothers’ Day and Fathers’ Day celebrations and a Mainly Music Nativity Service at Christmas. Each second year, the parish runs a fete in October and we welcome Mainly Music families to be involved in this. If you have any other questions, or you would like to come along, please contact Becky via the Parish Office. Would you like to volunteer for Mainly Music? Mainly Music would not be possible without our wonderful volunteers. They are welcomers, greeters, friends, encouragers, cooks and cleaners for the sessions. If you are called to assist with Mainly Music, we would love to hear from you. Please note that there are workshops for volunteers so that all staff are trained and know what to do. If you are interested in volunteering, please contact Becky.